It is not possible for us to monitor the full deluge of openings books, but from time to time we shall pick a recent opening monograph and inspect it from the point of view of historical research. 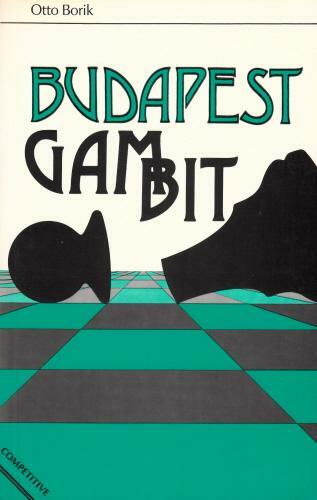 Although the series threatens to make depressing reading, the first title selected, Budapest Gambit by Otto Borik (Batsford), should have given every reason for optimism: a) The Budapest Gambit is a compact little domain, which facilitates research. b) The Batsford edition is a translation of a German book published in 1985, and could thus benefit from any constructive criticism given to the original. c) No Eric Schiller. Yet the book’s historical research is virtually zero. 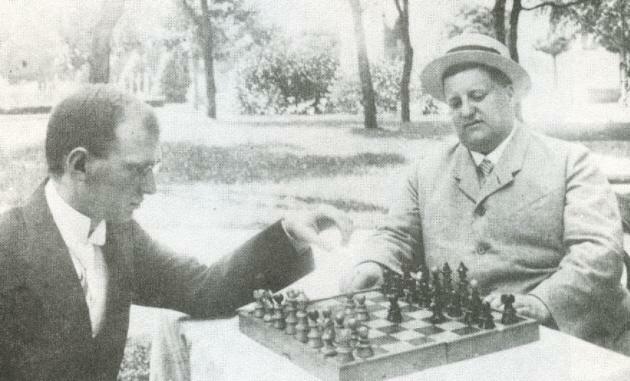 Page 43 has a game headed ‘Alekhine-Seitz, Baden-Baden 1925’. Two minutes would have sufficed to establish that Seitz did not play at Baden-Baden, with perhaps a further two needed to clarify that Black was actually Rabinovich. Page 93 quotes the opening of ‘Ladmann-Tartakower’, Scarborough, 1929. Ladmann should be H.A. Cadman, as given in the September 1929 issue of Kagans Neueste Schachnachrichten (pages 294-297) and My Best Games of Chess 1905-1930 (page 212), both of which feature Tartakower’s own annotations. Consulting the crosstable of Scarborough, 1929 in volume four of Gaige’s series would have been another way of avoiding this mistake (and ‘Alekhine-Seitz’). But if Borik did not scrutinize old tournament books and magazines for Budapest games, did he at least make full use of earlier books on the opening? Remarkably enough, the answer is no. Although he frequently refers to a minor 1982 book by J. Staker, it is clear that he does not have the basic work on the opening: Teoria e Prática do Gombito Budapeste by F.A. Vasconcellos (published in Juiz de Fora, Brazil in 1966). This is shown by a misspelling and slight misquotation on page 53, where Borik says, ‘According to Vasconsellos [sic] in “Staker” Black could equalize here ...’ Then on page 38 Borik, referring to the game Egli-Bauer, comments that Staker ‘has dug it up from somewhere’. Yet the game is in Vasconcellos. Ignorance will out. Pages 40 and 41 twice refer to an American theorist called ‘Mayers’. Borik neglects a series of four detailed articles on the Budapest in the 1926 Wiener Schachzeitung by such fribbles as Andreas Steiner, Hans Müller, Stefan Abonyi and Hans Kmoch. 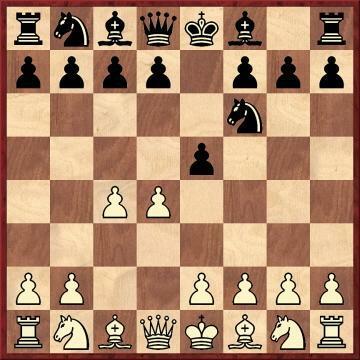 And on page 57 he gives the line 1 d4 Nf6 2 c4 e5 3 dxe5 Ng4 4 Qd5 Nc6 5 f4 Nb4 6 Qe4 Bc5 7 Nh3 O-O 8 Nc3 f5 9 exf6 Nxf6 10 Qb1 d5 11 a3 Nc6 12 cxd5 Nxd5 13 Qa2 Be6 ‘with advantage to Black – ECO’. So Borik is not familiar with another cornerstone of Budapest literature; the identical line (even carried on to move 19) appeared on pages 9-11 of Schlechter’s Die Budapester Verteidigung des Damengambits, published 70 years ago. ‘Neue Wahrnehmungen in Spieleröffnungen’, Deutsche Schachzeitung, August 1917, page 169, September 1917, page 193, October 1917, pages 217-218 and November 1917, pages 241-242. ‘A “budapesti védelem”-ről’, Magyar Sakkvilág, November 1922, pages 180-182. ‘Die Ehrenrettung der Budapester Verteidigung’ by A. Steiner, Wiener Schachzeitung, February 1926, pages 49-53. ‘Zur “Budapester” Frage’ by S. [I.] Abonyi, Wiener Schachzeitung, June 1926, pages 160-163. ‘Zur Budapester Verteidigung’ by H. Müller, Wiener Schachzeitung, July 1926, pages 200-201. ‘Zur Budapester und zu meiner Verteidigung’ by H. Kmoch, Wiener Schachzeitung, July 1926, pages 201-204. ‘Nochmals die Budapester Verteidigung’ by A. Steiner, Wiener Schachzeitung, November/December 1926, pages 346-348. ‘Der Zug 3...Se4 im Budapester Gambit’ by K. Richter, Chess World, May-June 1930, pages 361-362 and July-August 1933, page 428. ‘Budapester Partie’ by H. Müller, Wiener Schachzeitung, September 1930, page 270. ‘Why not play the Budapest Defence more often?’ by W. Korn, BCM, December 1940, pages 386-389. ‘Budapest Revisited’ by W. Korn, Chess Review, March 1956, pages 78-79 and April 1956, pages 112-113. ‘The Budapest Defence’ by G.A. Armstrong, CHESS, 20 June 1969, pages 305-307. Two books on the Budapest Defence show contrasting ways of handling a bibliography. The Budapest Fajarowicz by Lev Gutman (London, 2004) has a full page (page 287) of references to books and articles, but with many misprints (including an occurrence of ‘Fajarowitz’). 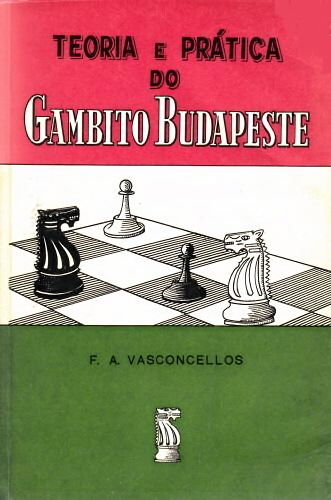 The book section of the bibliography on page 5 of The Budapest Gambit by Timothy Taylor (London, 2009) lists just five works, three of them general (by Alekhine, Horowitz and Kasparov). Latest update: 1 October 2014.